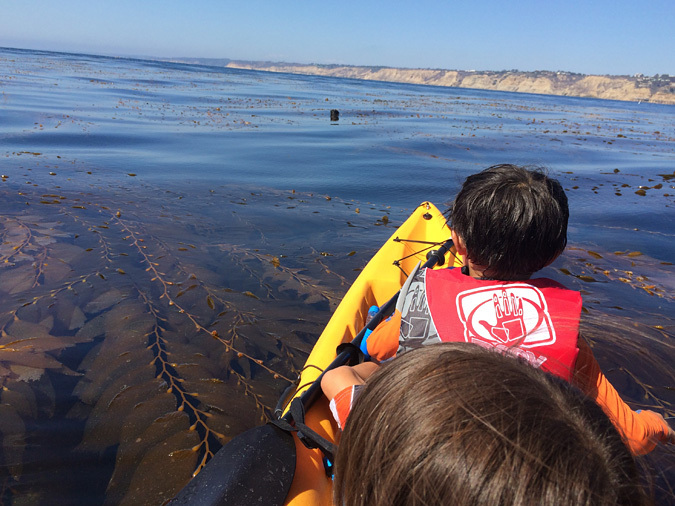 La Jolla Cove Kayaking, San Diego | Day Trips L.A. 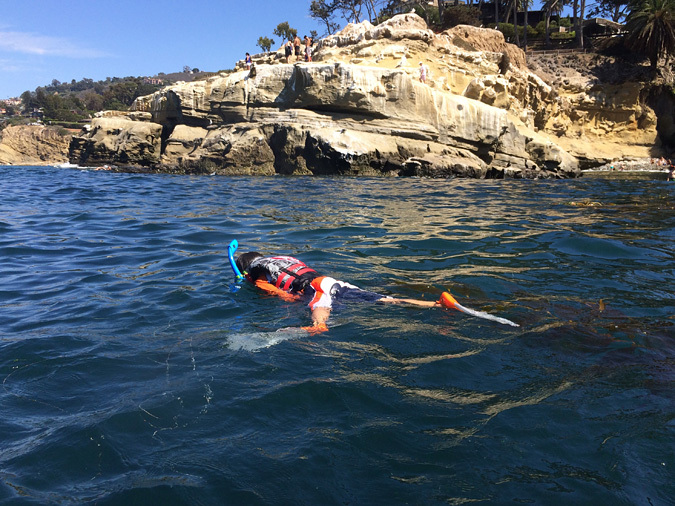 The San Diego-La Jolla Underwater Park spans 6,000 acres of ocean bottom and tidelands to the north of La Jolla. 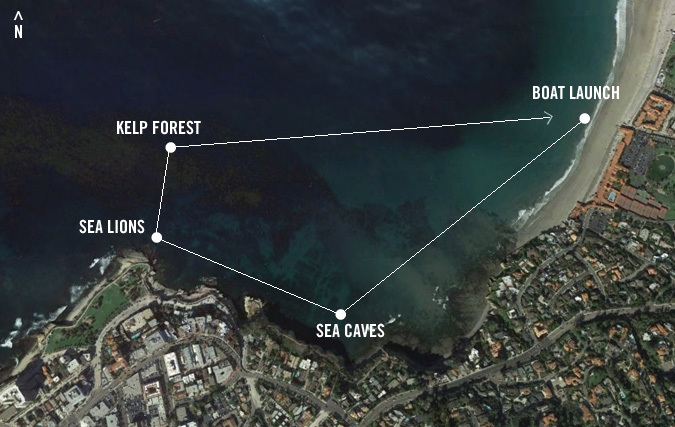 The Underwater Park contains two conservation zones within it, the La Jolla Ecological Reserve and the La Jolla Marine Life Refuge. You get the idea, it’s a protected area. 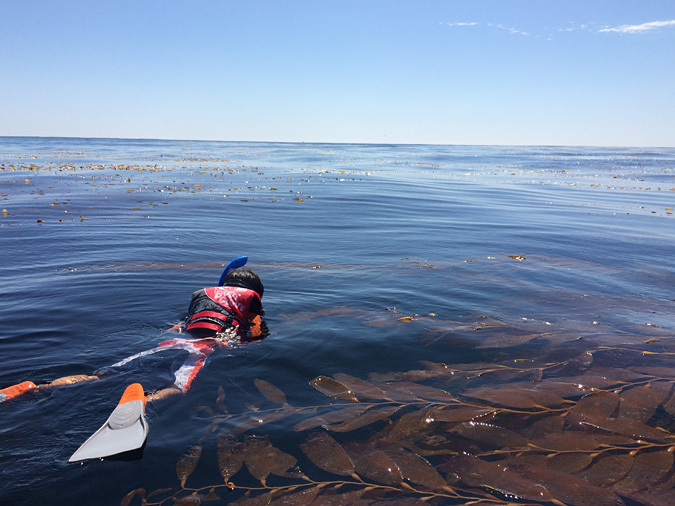 The park has several marine habitats (rocky reef, kelp bed, sand flats, and submarine canyon) and lots of sea life. And is a poplar spot for kayakers, snorkelers, and scuba divers. Cost: No fees to use the boat launch. 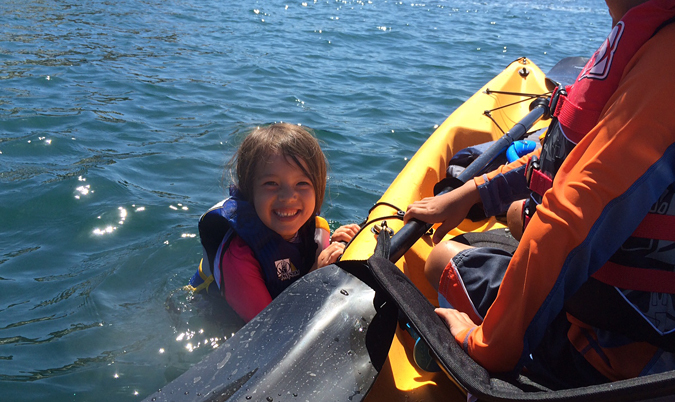 Kayak rental fees variable. 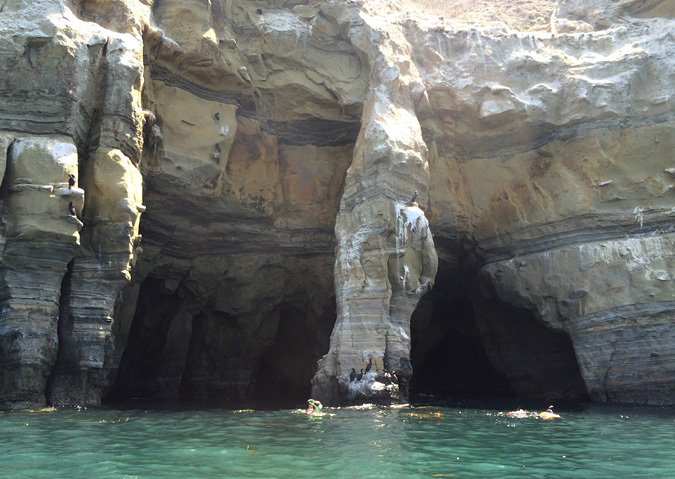 Kayak Rental: We did not rent a kayak, but there are several operators in Ja Jolla that go to the caves. Check out Everyday California 858.454-6195 for group tours, private tours, and rentals. 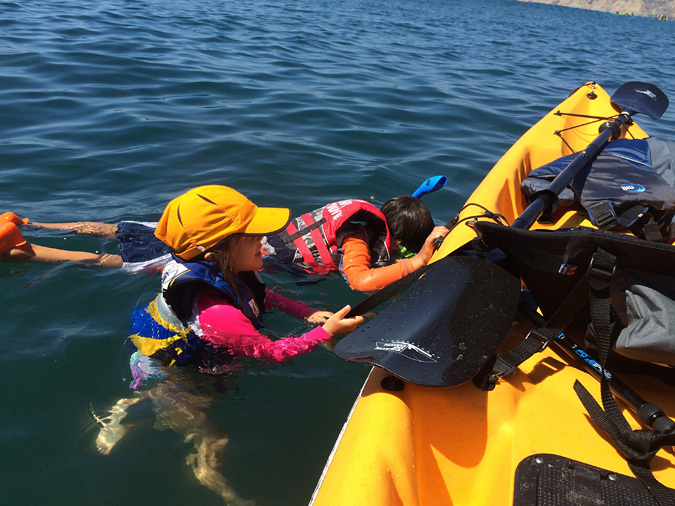 We launched our kayak around 1PM, paddled to the caves then up to the point below Scrips Park, headed out offshore to the outer edge of the kelp forest, then back to the boat launch beach. We were back at the beach around 5PM. Ideally we would have gotten and earlier start, but we got lucky with a perfect day and no afternoon wind. 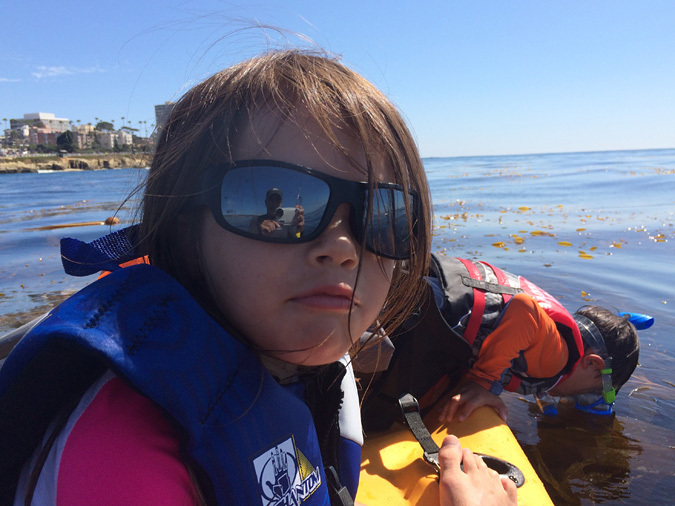 Yes, I agree that a day trip from Los Angeles to La Jolla and back in one day is a bit of a haul, especially if you’ve spent the day kayaking your kids around in La Jolla Cove for 4-5 hours. If it’s too much, then get a hotel for the night. 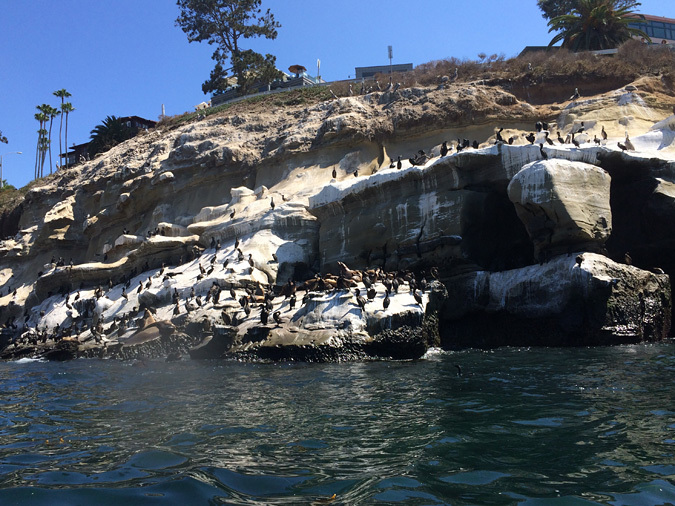 La Jolla is great, and if you live in Los Angeles, you have to go spend some time there. We have a kayak, so I had to deal with launching it, finding parking after (ugh), and then picking it up. It was tough doing it all that on my own, especially on a weekend with many tours company operating at the boat launch. 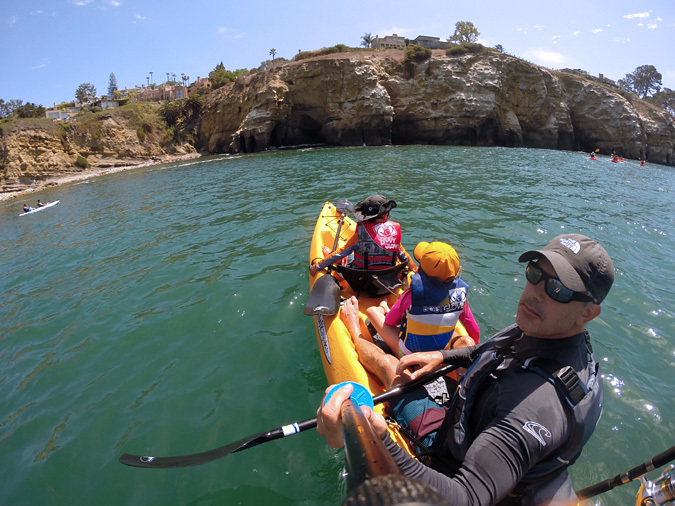 If you’re renting, there are two options: you join a tour and go out for a set amount of time following a guide, or you rent a kayak and do whatever you want. 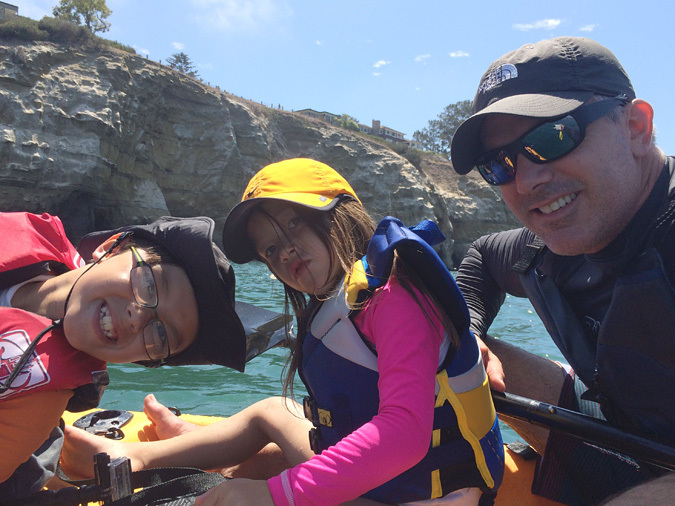 I’m not sure which companies allow unguided kayak rentals, but pretty sure Everyday California does. If you’re not super confident about pulling it off, join a tour or get a private guide. The tour groups all looked like they were having fun. 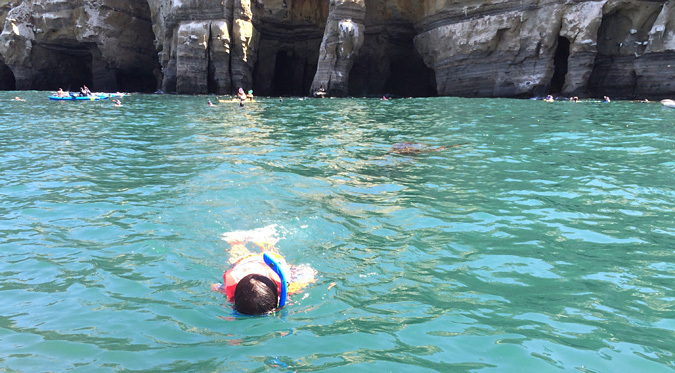 Once you make it to cliffs where the sea caves are, you really should snorkel around if the conditions are calm. 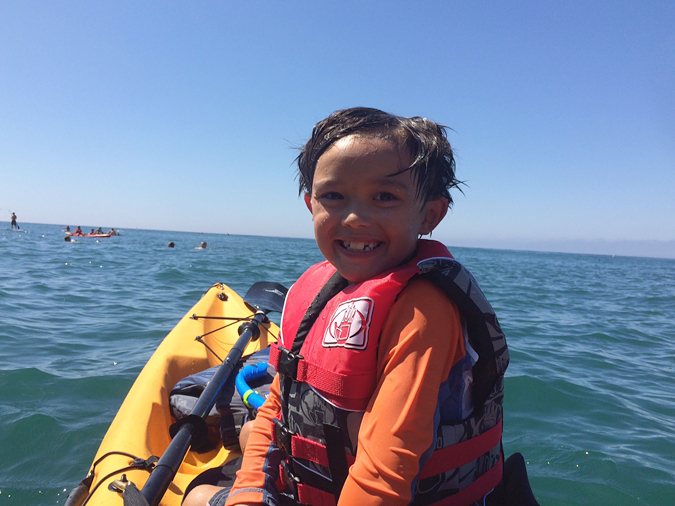 My son was in the water for a while and saw a lot of fish including some small sharks. 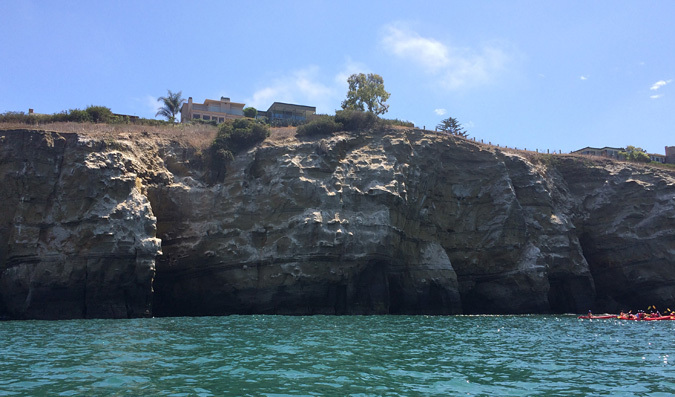 Along the cliffs are many sea lions trying to get some rest despite the tourists. I think you’re supposed to stay 50 feet from them. There are many sea birds as well. If its calm, you can swim right into the caves. 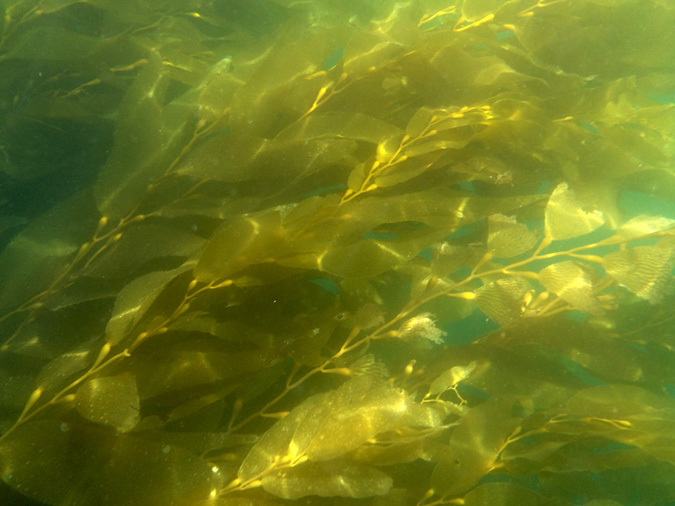 A large kelp forest extends out off the point, filling most of La Jolla Cove. 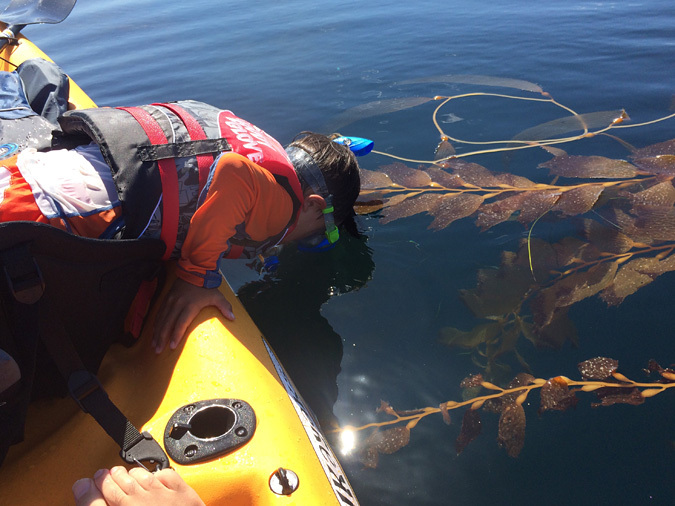 If you can, paddle out on to the kelp away from the tour groups. 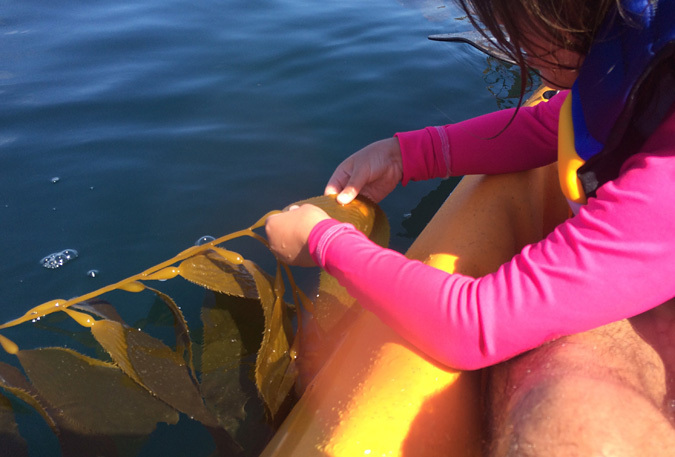 During the summer, the kelp is thick and growing along the surface, and it’s great to grab a piece of kelp as an anchor and just sit there. 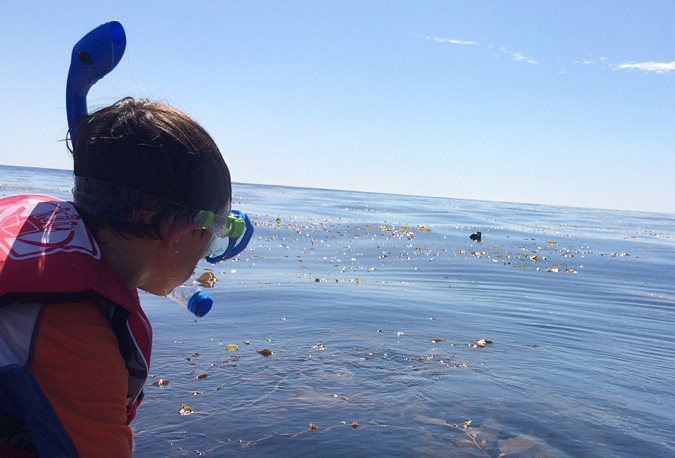 There are seals floating around sleeping, fish swimming below, and pods of dolphins nearby. It’s a magic spot. Fishing is not allowed within the conservation zone, but just outside the park, you’ll see small boats and kayaks fishing. We brought a fishing rod, and did a bit of casting and trolling on our way back to the boat launch with no luck. 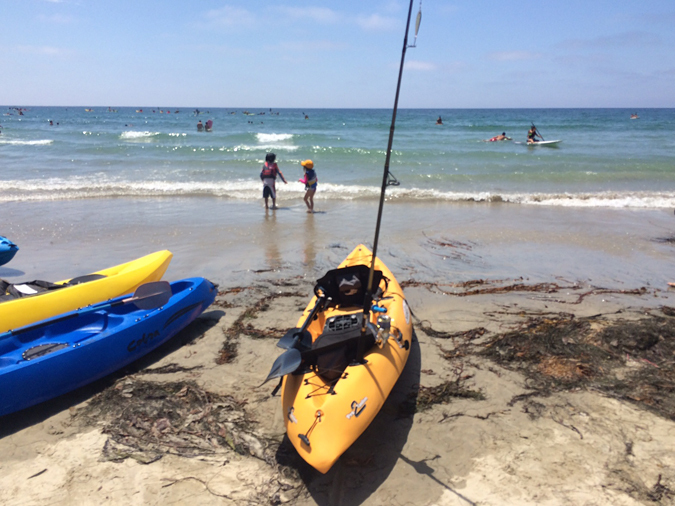 I finally got tired of being restricted to kayaking only where kayaks are available for rent in Southern California, so I bought one. Actually the morning before this day trip. Drove from LA to SD, bought the kayak, waited for it to be rigged up, put it on the truck, then back up to La Jolla, then launched it, paddled around for 4-5 hours, back on the truck, dinner, sunset, then back to LA. No problem. 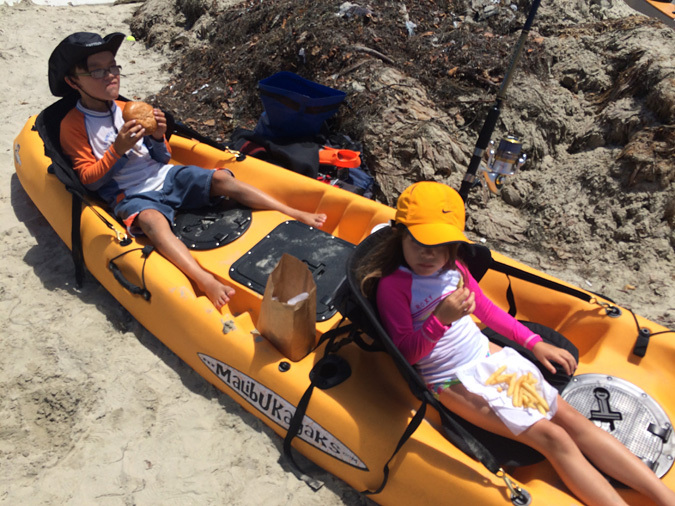 Anyway, I got a double MalibuKayak from OEX Mission Bay, 1010 Santa Clara Pl, San Diego, CA 92109 619.866.6129. I called all over SoCal, and these guys were really the only place that had the kayak I wanted in stock. There’s also a great kayak fishing supply shop there which I needed to get away from before spending more money. They outfitted my boat quickly with the package I needed. They also sell SUPs. 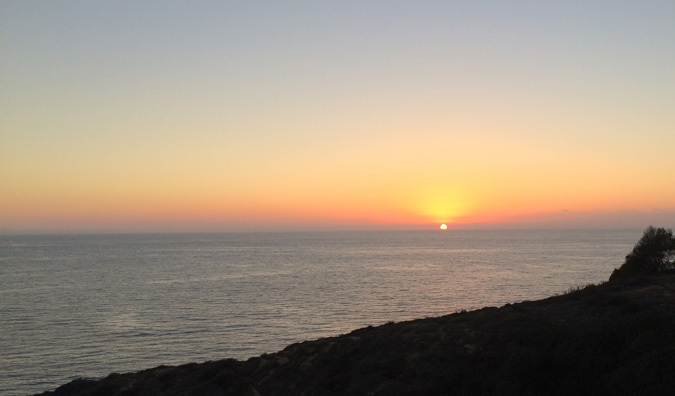 On the way out of town, we pulled over by Scripps to watch the sun go down. Perfect end to a perfect day. Once you’re out of Los Angeles, you’ll take the 5 South to La Jolla. 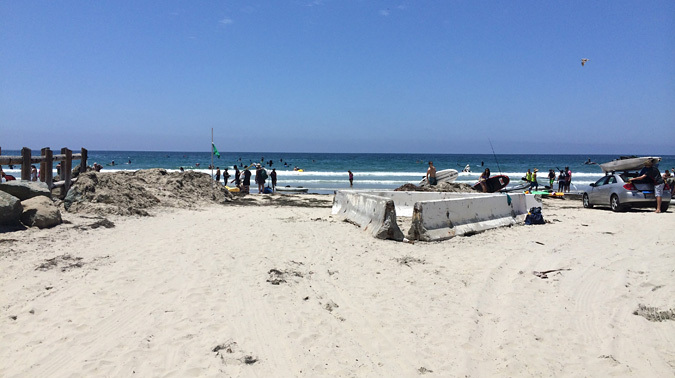 The boat launch address is 2053 Avenida De La Playa La Jolla, CA 92037. All the kayak tour places are on that same street.